Game of Thrones fans, rejoice! Winter is coming to Washington D.C., except this time it’s coming in the summer. While pure anticipation is ramping up for the seventh season of the hit show, a new pop-up bar is opening that will allow fans to drink and feast with their fellow fans. The space where the bar is going has seen its fair share of nerd culture. The space was used by Mockingbird Hill a few months back to house a Super Mario-themed bar which sported green tubes and animatronic man-eating plants. This new bar will be open from June 20 to August 27. A mural depicting Daenerys’ dragons will be on display, while the bar will also feature a house banner room for guests to pledge their loyalty to as well as a Hall of Faces which will contain plaster molds of the employees and their families. 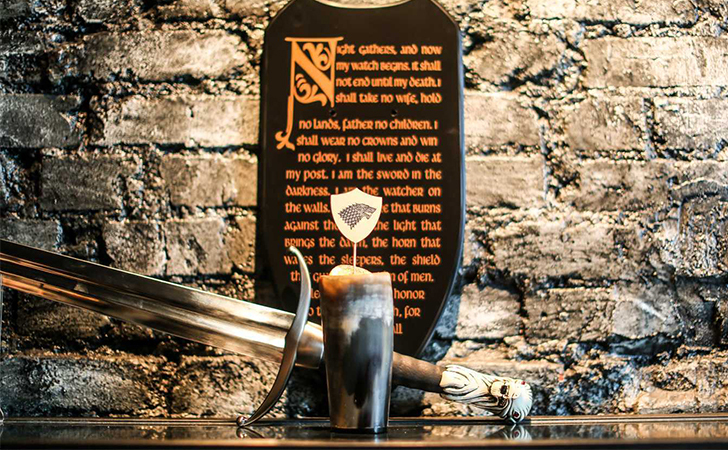 The bar will contain a replica of the iron throne (a necessity) while signature cocktails will be available. If one is feeling especially bold, some of the cocktail flavors include “What is Dead May Never Die” and “The Lannisters Send Their Regards.” Just make sure to have a maester check the drink before consuming it. If the bar’s previous occupants are any indication of its popularity, you might want to get there a bit early as guests in the past have waited a couple hours just to get in. The bar will be open every day except (you guessed it) Sunday evenings when the episodes air. 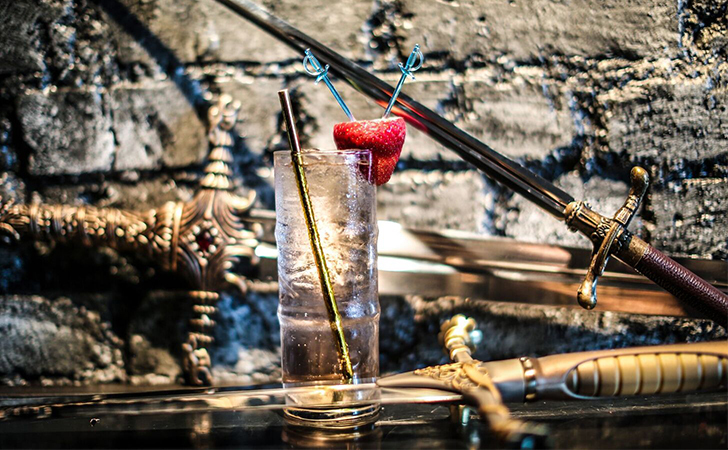 Are you beyond excited for this Game of Thrones inspired bar? SHARE this article with your friends if you’re planning on getting a group together and head on over!